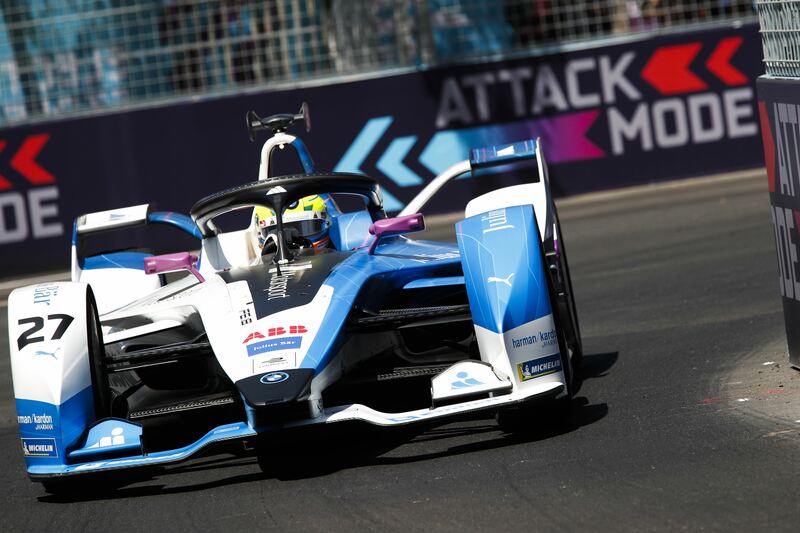 It was a scorching hot third round of this year’s ABB FIA Formula E Championship, when the series visited the capital city of Chile. 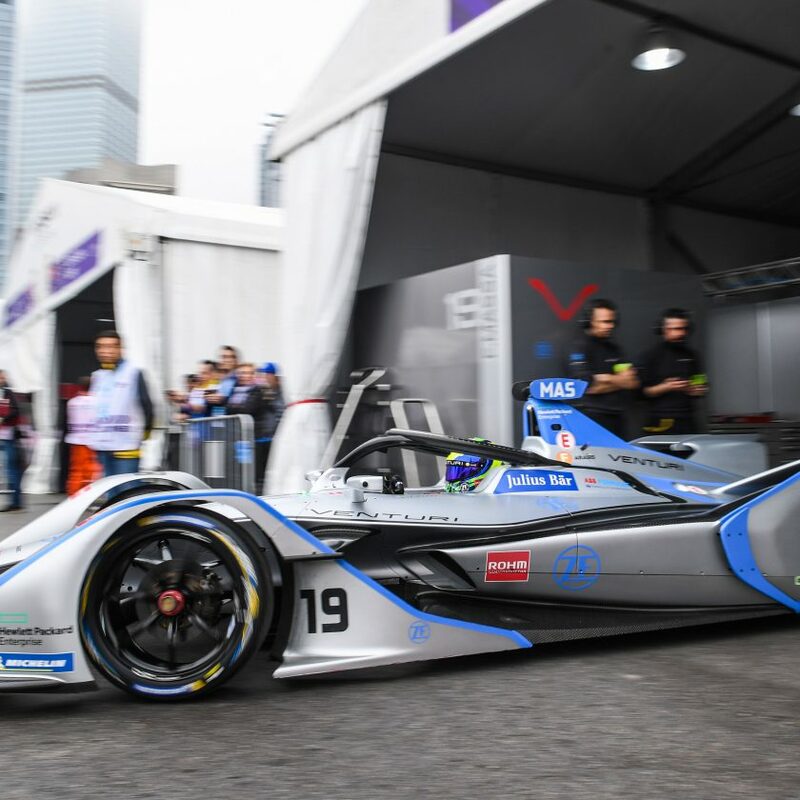 With 37-38 degrees Celcius air temperature and 45-46 degrees asphalt temperature, it was a really difficult for the drivers to take care of the batteries and tires through the 45 minutes plus a lap. 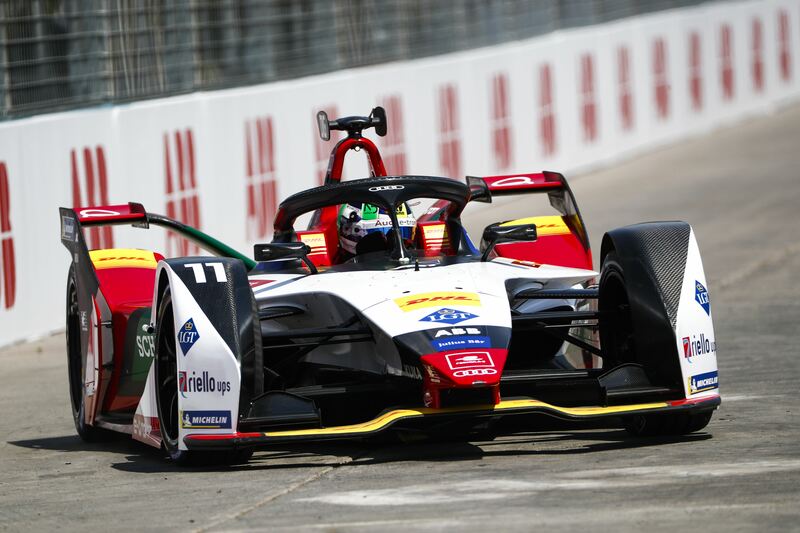 Lucas di Grassi finally drove his Audi Sport Abt Schaeffler to Pole Position, but because his in-lap was too slow after Super Pole, his time was deleted and had to start from the last position. Sebastien Buemi in Nissan e.dams was the new Polesitter, ahead of Pascal Wehrlein in Mahindra Racing and Daniel Abt in the other Audi. Sam Bird in Envision Virgin Racing would start from P4, while Stoffel Vandoorne in HWA RACELAB had driven the car up to P5 in their debut season. Championship leader Jerome D’Ambrosio had a horrible qualifying, where he had to start the race from P20. Top 5 held their positions on the first lap. 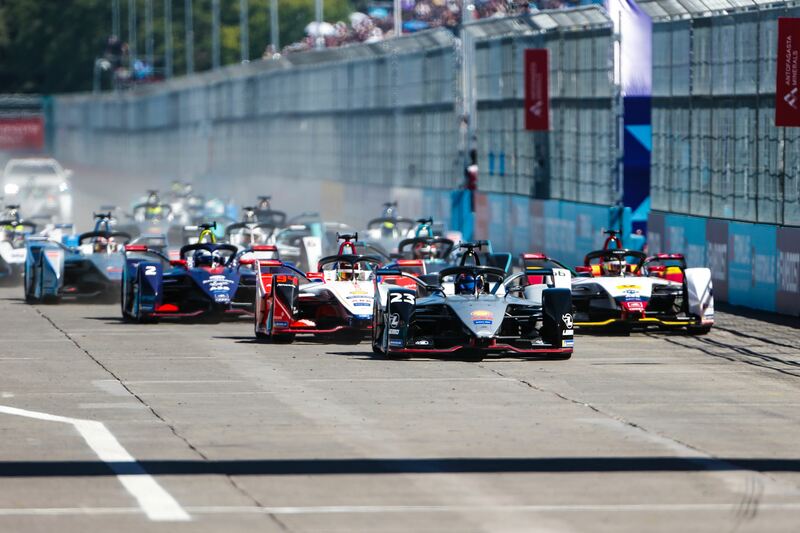 But there was a commotion at the back, where Lucas di Grassi took a shortcut through one of the chicanes, when Nelson Piquet Jr. got hit by Oliver Turvey, who was close to having a contact with his NIO teammate Tom Dillmann. Tom Dillmann’s race was already over after the first lap, where he stayed still in the middle of the track. Luckily the race could continue without a need of Safety Car, when Dillmann could restart the car and move out of the way. Sam Bird went past Daniel Abt on the first lap, with a very late outbraking in the first hairpin. Di Grassi got investigated for taking an advantage by driving through the chicane. A few laps later, Maximilian Günter also got investigated for the same thing. Buemi was the first to use Attack Mode and thus could defend himself from Wehrlein, who was right behind him. There was a multiple collision in the second hairpin, where Andre Lotterer pushed Antonio Felix da Costa, who then ended up hitting Lotterer’s Teechetach teammate Jean-Eric Vergne so hard that Vergne spun around. The incident got investigated by the stewards. Sam Bird was about to kiss the rear end of Pascal Wehrlein’s car, but both drivers remained on the track and could go on – which ended up with Bird driving past Wehrlein a few laps later. Felipe Massa tried to overtake Oliver Rowland from the outside in the second hairpin, but he ended up being squeezed between Rowland’s Nissa e.dams car and the concrete wall. It broke Massa’s steering wheel and forced him to retire from the race. Maximilian Günther was suddenly stayed still on the track and couldn’t get away by himself. Edoardo Mortara got spun around by Alexander Sims, when the BMW driver brushed the rear part of Mortara’s Venturi. 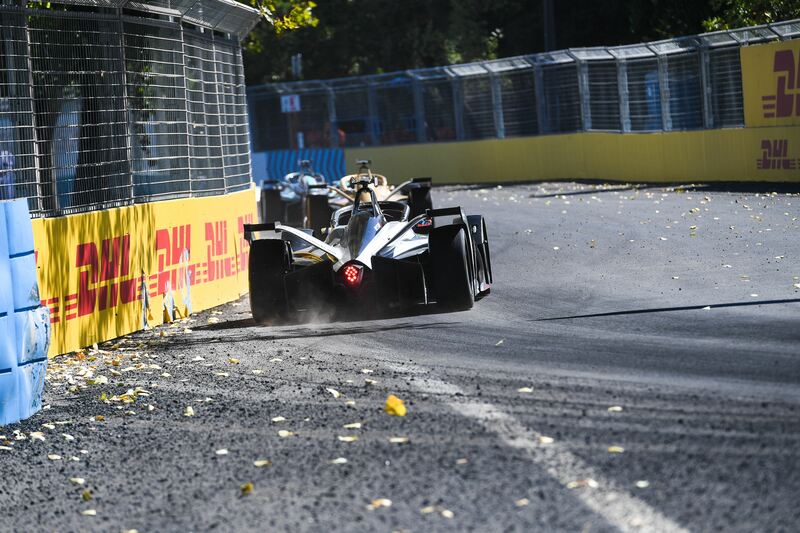 Jose Maria Lopez was pushed off the track by Lucas di Grassi, who braked way too late in the second hairpin. Günther’s stranded car elicited a Full Course Yellow, so that it could get moved. 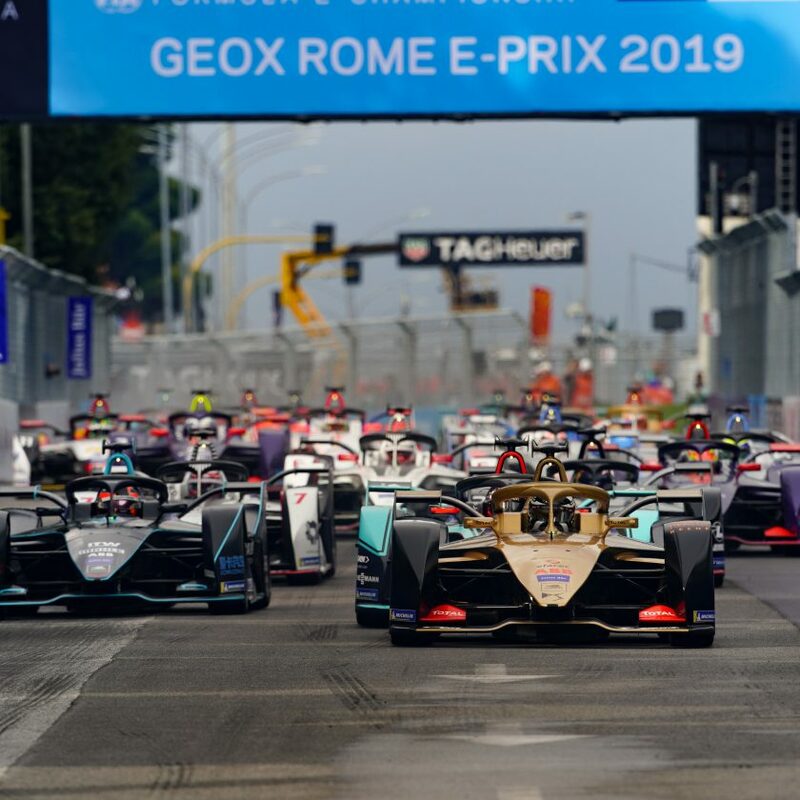 The Fan Boost voting was announced 20 minutes into the race, where Stoffel Vandoorne, Daniel Abt, Jerome D’Ambrosio, Sebastien Buemi, and Antonio Felix da Costa got a bit of extra power for their next overtaking attempt. Bird came up right behind Buemi and was only a few centimetres away from the Swiss when the race got restarted. The race didn’t last longer for Stoffel Vandoorne, when he came out on the dirty track and slid into the concrete wall, so both his front and rear suspensions were broken. It called for another FCY period, to get the debris removed from the track. Luckily, it didn’t took too long to clean it up, so Buemi, Bird, and Wehrlein could continue their fight. Gary Paffett got a drive-through penalty for using too much power, but he was already out of the points anyway. After having most of the race under control, Buemi’s car hit the concrete wall hard and broke the frontwing of the Nissan e.dams car. He could drive it back to the pits, but the mechanics could see that the suspension was so damaged that he couldn’t continue the race. 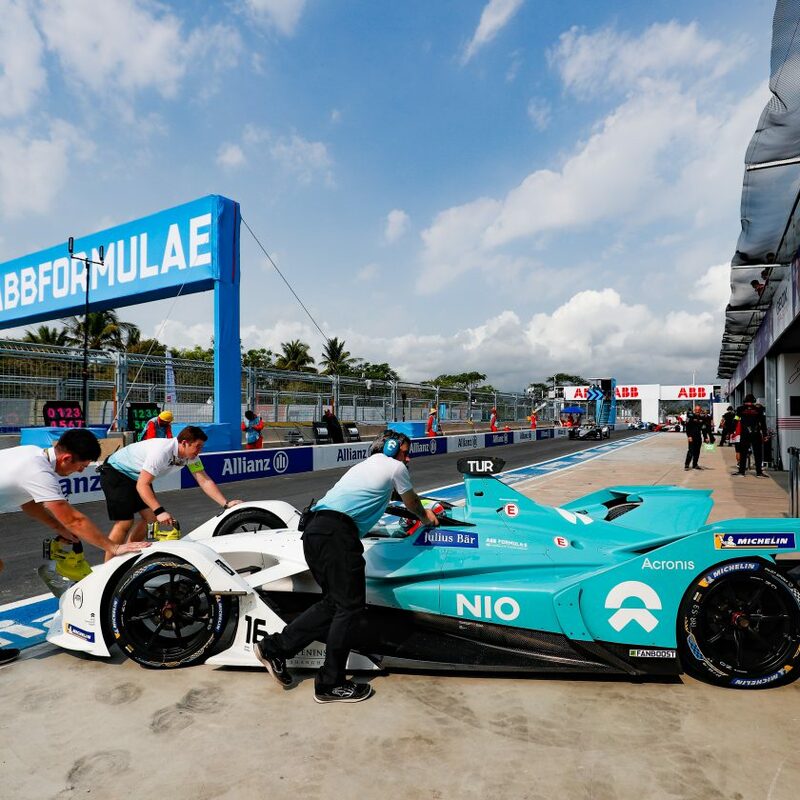 With 15 minutes left of the race, there were already six retirements, which was a big number – although it was a mixture of mechanical and physical damages on the cars. Mitch Evans put Robin Frijns under intense pressure, when Evan activated the Attack Mode. But he didn’t manage to drive past the Dutchman. Antonio Felix da Costa also chose to park the car with ten minutes left. After the victory in the opening race, it only went downhill for the Portuguese. 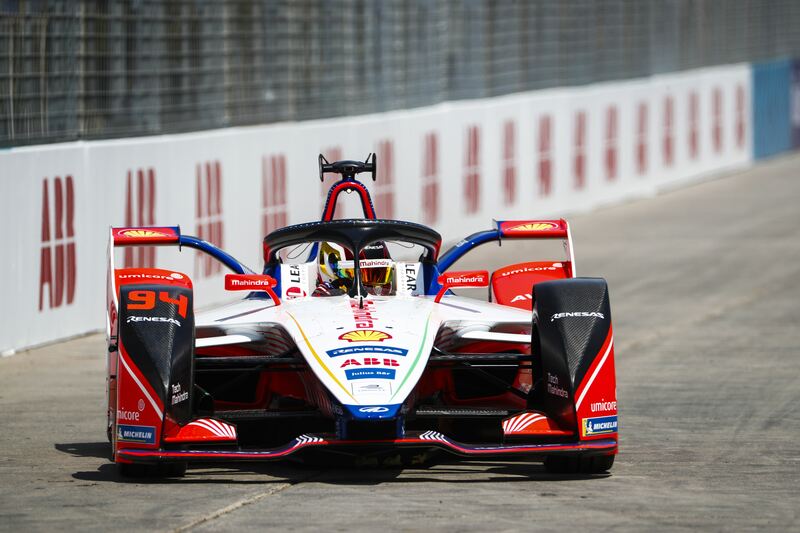 Jerome D’Ambrosio was investigated for speeding under the FCY period, while Lucas di Grassi got investigated for causing a collision with Lopez earlier in the race. Edoardo Mortara blocked Robin Frijns hard, and nearly drove the Dutchman into the wall. A few corners later, Andre Lotterer went to attack Oliver Rowland but ended up pushing Frijns a little. Luckily, all of them could continue. The next lap, however, the two did a mistake so both lost four places. Wehrlein was right at Bird’s diffusor but couldn’t get past, although he got Attack Mode activated. With three minutes left on the clock, Oliver Rowland’s Nissan e.dams car ended up hitting the wall. At the same time, Andre Lotterer got investigated for overtaking under yellow flag. Werhlein had to let go of Bird when his Mahindra car started to heat up in the last minutes of the race. After starting from P8, Alexander Sims was all the way up to third when the cars started their last lap. 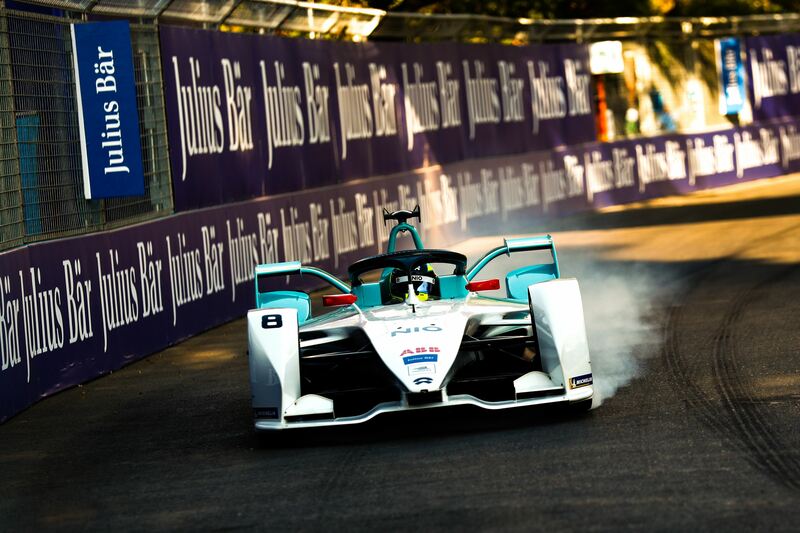 Sam Bird drove a convincing victory, ahead of Pascal Wehrlein and Alexander Sims – or so, until the stewards were done with their investigations. Third place was then given to Daniel Abt, when Sims got a 19-second time penalty for hitting Mortara earlier in the race. Lucas di Grassi got 34 seconds added to his time after the collision with Jose Maria Lopez. Jose Maria Lopez himself got a 19-second time penalty for using too much power. Andre Lotterer got a five-second time penalty for overtaking under yellow flag. Jerome D’Ambrosio got five seconds added to his time after speeding under FCY. And last but not least, Jean-Eric Vergne got a five-second time penalty for the same mistake as D’Ambrosio’s – not that it meant anything for Vergne, since he already retired. After all these penalties, it was time to count the points together. Sam Bird is the new championship leader, ahead of Jerome D’Ambrosio, Antonio Felix da Costa, Robin Frijns, Jean-Eric Vergne, Mitch Evans, Daniel Abt, Andre Lotterer, Pascal Wehrlein, and Alexander Sims. All these drivers have chance to take the lead of the championship in the next race weekend. 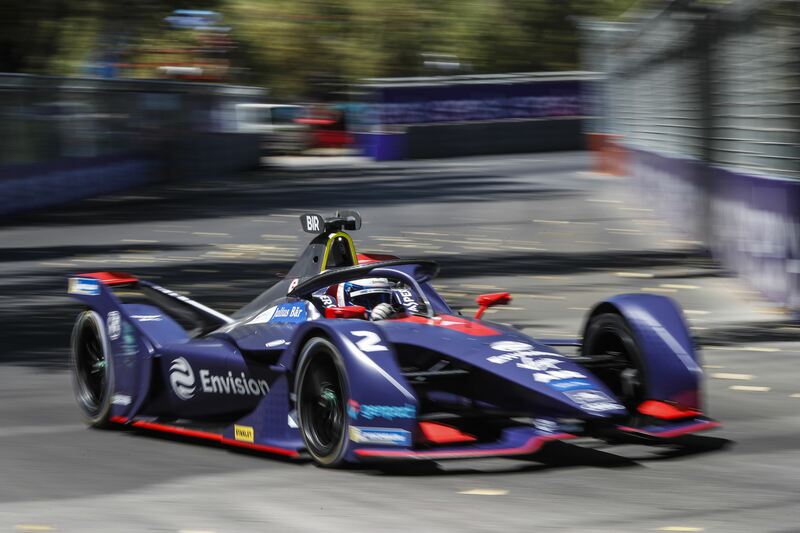 Envision Virgin Racing leads team championship, in front of Mahindra Racing, DS Techeetah, BMW in Andretti Motorsport, and Audi Sport ABT Schaeffler.